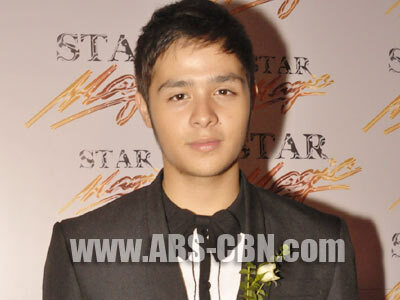 Martin del Rosario says his frequent guest appearances in 'Maalaala Mo Kaya' helped him enhance his acting skils. After making his debut in the teleserye Natutulog Ba Ang Diyos?, Martin del Rosario has become one of the most promising Star Magic artists, frequently cast in Maalaala Mo Kaya episodes. After his remarkable role as a gay sampaguita vendor last May, he gets to be reunited with Natutulog Ba Ang Diyos? co-star Roxanne Guinoo who’ll be playing the role of his stepmother this time around. “Nakakatuwa na dati ate ko siya dun sa first ever show ko dito sa ABS-CBN tapos ngayon naman madrasta. Na-miss ko talaga siya kasi naging close kami dati dahil ang dami naming eksena na puro iyakan. Para ko siyang naging ate talaga,” he began. Martin has been with Star Magic for three years now and so far he’s happy with the way things are going in his showbiz career. Unlike other young stars, this 17-year-old is not after instant fame because he’s also determined to finish his studies in U.P. Diliman. “I’m in first year college taking up Business Administration. Priority ko ang studies so perfect lang yung timing ng pagpasok ng mga shows. Napasama ako sa cast ng Till My Heartaches End tapos ngayon dun naman sa Juanita Banana. But for me mas gusto ko talaga drama kaya natutuwa ako ‘pag nakakasama ako sa episode ng MMK.” Martin is also part of Dagim, one of the films in the 2010 Cinema One Originals Digital Film Festival.